Perform resize partitions operations on your Mac fast and easy! 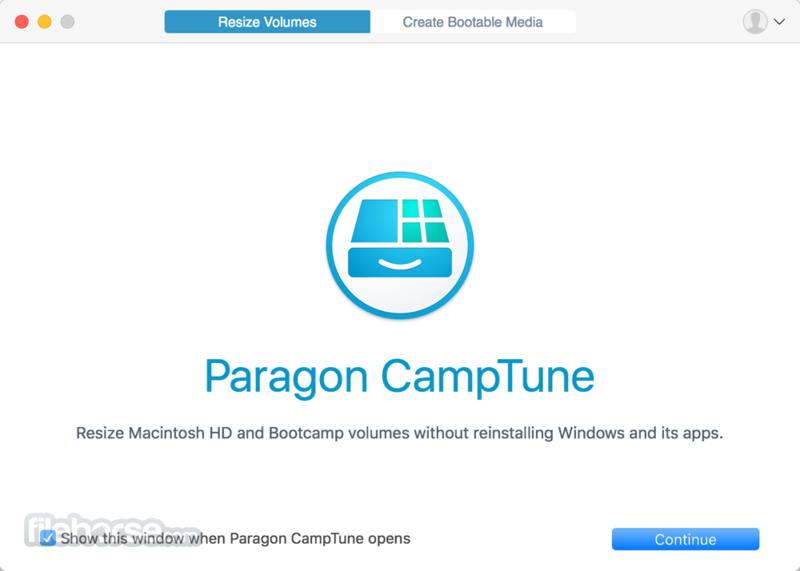 Paragon CampTune for Mac is simply the fastest way to perform resize operations. Instead of spending your time juggling with archives, disks and applications, use it to do something more creative with your Mac! 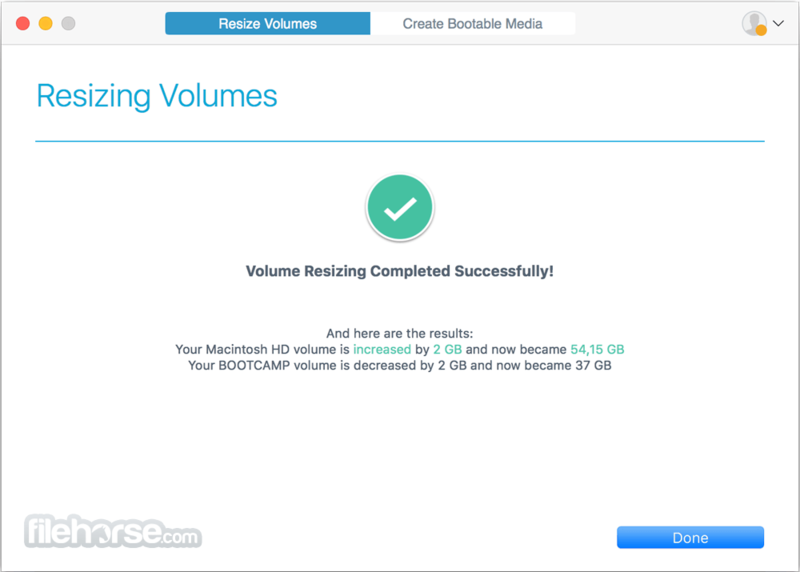 In the past, resizing Boot Camp partitions was a long, time-consuming and tedious procedure. 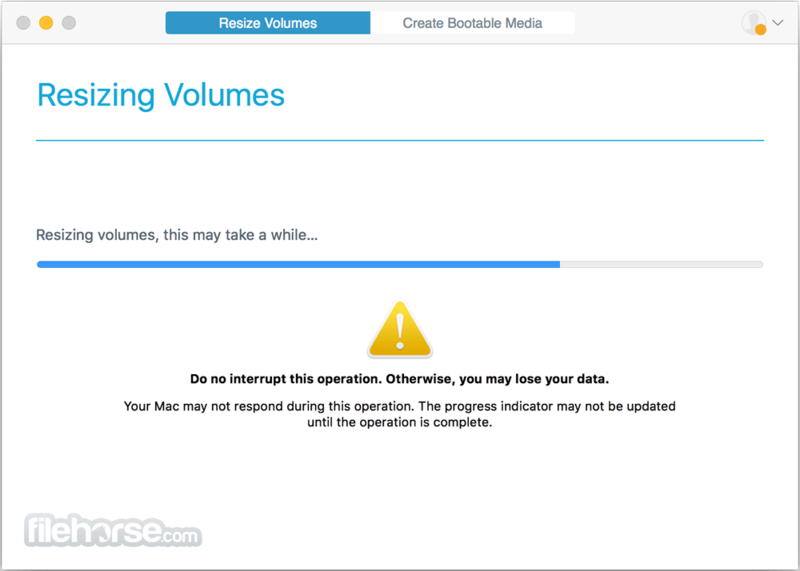 Obtaining a volume of the desired size often meant spending hours waiting for backup operations to finish, watching for volumes to move their borders and images to be written back. Now you can perform these operations in minutes. Paragon CampTune for Mac is simply the fastest way to perform resize operations! Increase or decrease Boot Camp partitions in minutes! 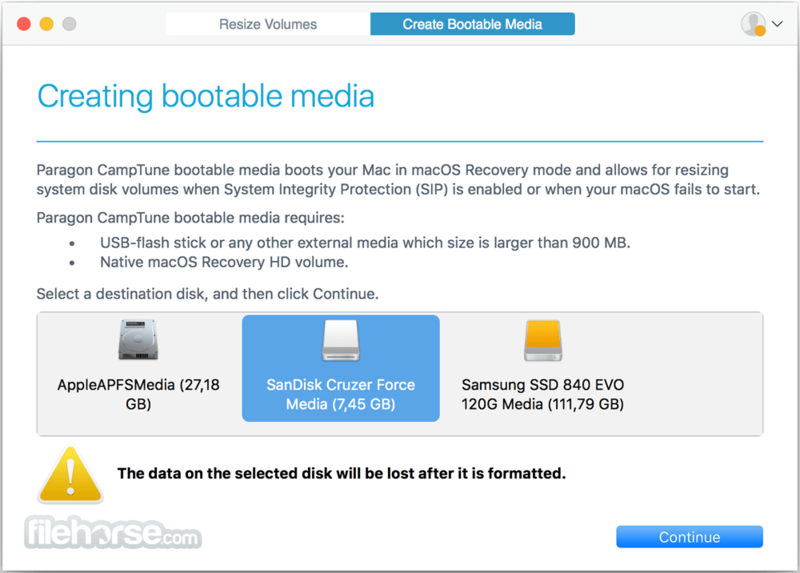 Create a Boot media to make free space redistribution even with an active System Integrity Protection. Note: 30 days upgrade version.